Cricket Coaching courses coming up in our area, which may be of interest to either parents or older juniors. The club will pay for those who undertake to coach for a season for free. ECB Certificate in Coaching Children's Cricket (L2) - January 21, February 4, February 11, March 18, 2018 at MacMillan Academy, Middlesbrough, Cost 285.00, 9.30am to 4pm. Bookings can made by clicking here. More info from k.gresham@yorkshirecb.com. 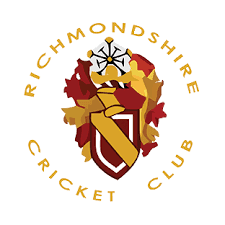 ECB Certificate in Coaching Young People & Adults Cricket (L2) - February 18,25, March 25 & April 8, 2018 at Richmond School, Richmond, 9.30am to 4pm. Cost 285.00. Bookings can be made by clicking here or more info from k.gresham@yorkshirecb.com.